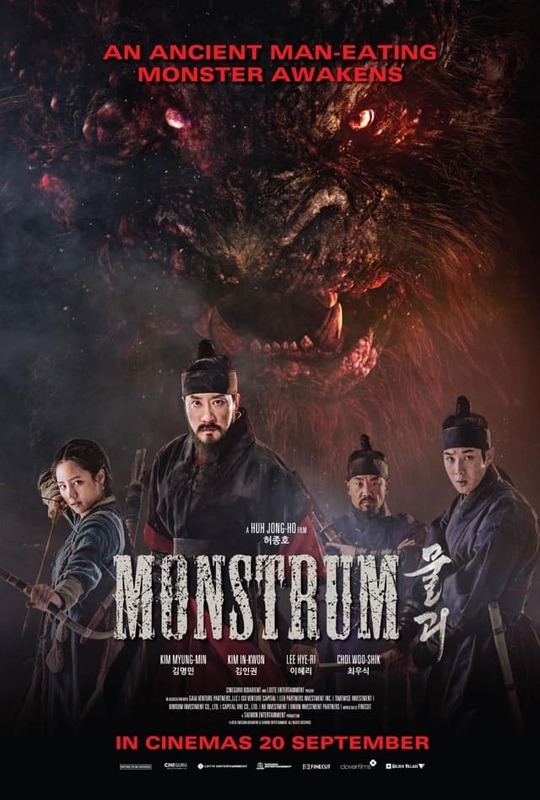 Based on the Joseon Dynasty’s historical records of a mysterious mutant monster in the 1500s during King Joong Jong’s reign, Monstrum is a monster film similar to the likes of Netflix’s Okja and Rampage. Fans of huge beasts ripping humans apart with a Korean drama twist would absolutely love this film. Lee Hyeri (Reply 1988), a member of a K-Pop girl group Girl’s Day, plays Myung, the orphan of a single mother among the thousands slaughtered to prevent the spread of a plague. She’s rescued by military commander Yoon-gyeom (Kim Myung-min, Detective K series) and his brother Seong-han (Kim In-kwon, Born To Sing), and picks up hunting, archery and martial arts. Years after the plague, sinister prime minister Shim-woon (Lee Gyeong-yeong, The Battleship Island) creates unrest among the people with a rumour — a mutant beast by the name of Monstrum. Lee almost steals every scene with his veteran grasp of what makes a villain detestable yet realistic. He’s mostly the pillar of the movie until Monstrum appears, where our protagonists take over the lead. An inspector Heo (Choi Woo-shik, The Princess And The Matchmaker, Train To Busan) joins our father-uncle-daughter trio to dispel the Monstrum rumor and regain peace among the villages. He’s mostly a sidekick and serves as a love interest for Myung. Hyeri and Choi are the film’s surrogates for younger moviegoers, as the older cast members are not particularly famous internationally, apart from Lee. In-kwon is another scene dominator with his natural and hilarious comedic lines and expressions while Myung-min’s role as a loyal commander doesn’t give him much to do with other than his combat set-pieces. That said, the elaborate battle sequences during the second act can get excessively nauseating because of abrupt and shaky camerawork, which do the otherwise compelling and well-choreographed melee fights a huge injustice. However, the third act makes up with the film’s climatic clashes between the monster and our (as usual) indestructible heroes. Director Heo (Countdown) and his crew masterfully balance both physical and special effects to create the spectacle that makes the first two less polished acts worth the time investment. Undoubtedly, the storytelling and character motivations at certain points in the film can be better. 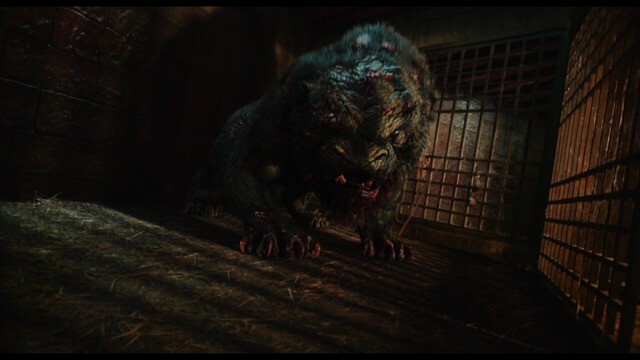 But without nitpicking too much, Monstrum is a delight to watch for its characters, action sequences, or even just a mutant beast chomping humans and tossing them across the screen. Summary: An enjoyable Korean monster film for its characters, action, and compelling CGI man-eating beast. An enjoyable Korean monster film for its characters, action, and compelling CGI man-eating beast.